BOGOTA, Colombia – The 25th Conference on Coffee Science (ASIC 2014), the world´s most important international meeting on science and innovation around coffee which took place last week in Armenia, broke two important attendance records compared to previous years.The meeting attracted 586 participants from 47 different countries to Colombia´s Coffee Cultural Landscape, part of UNESCO´s World Heritage List. 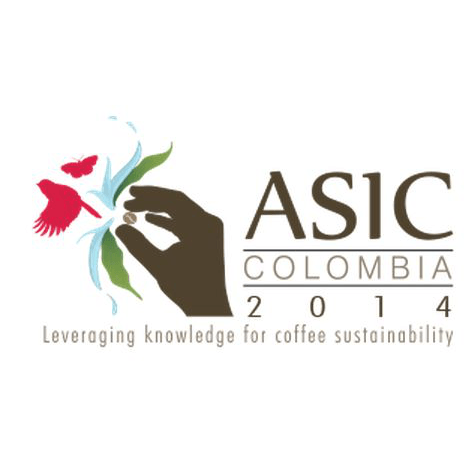 ASIC 2014 (www.asic2014colombia.org) was organized by the Colombian Coffee Growers Federation (FNC) and the Association for Science and Information on Coffee (ASIC). The meeting is held every two years and brings together specialists working in different fields of coffee science and technology, which allows them to share and compare their research and findings. Key players in the coffee industry came from both consuming and producing countries, which provided a unique opportunity to build and strengthen scientific cooperation and commercial relationships between actors of the whole coffee chain. A powerful reason for ASIC´s selection of Colombia as the host of this important event is the FNC and its R&D Center Cenicafé recognized leadership among the international scientific community in coffee science research, technology development and knowledge transfer for the benefit of coffee growers –. Throughout the event, world-class speakers presented studies from 34 countries, offering a wide variety of approximately 80 oral presentations around core topics such as coffee physiological effects and chemistry, genomics/genetics, breeding, adaptation to climate change, quality, pests, diseases and sustainability. Analysis of the physiological effects of coffee showed that most of the effects are positive, while myths on caffeine and false worries about this drink were overturned. Scientific research presented during ASIC helped demonstrate that coffee, when consumed in moderation, helps prevent Parkinson’s disease, liver and colon troubles and does not cause dehydration, among other benefits. It was also explained in detail how coffee chemical compounds interact or vary according to such processes as roasting or brewing of espresso or instant coffee to influence cup quality attributes such as aroma or flavor. In regard to genomics and genetics, it was explained how coffee genes influence physical characteristics such as plant height and bean size, as well as final cup quality. Around this core topic, development of improved varieties (resistant to diseases such as coffee leaf rust and better adapted to climate variability) was a subject that was reviewed from different perspectives. With 17 oral presentations and 44 posters, research developed in Colombia played a major role in the international meeting, which in turn confirmed the leading role that Colombia plays in matters of scientific research around coffee. In the agronomy field, with development of new varieties, better adapted to climatic variability and resistant to pests and diseases, the work by the FNC and Cenicafé was recognized as a model and global referent. In that sense, Colombian researchers presented the latest FNC progress related to Coffea Arabica genomics, new technologies for post-harvest wet processing that reduce pollution and water consumption, and the new Agro-climatic Platform developed by Cenicafé to help coffee growers make timely decisions in the face of climate change in their regions. “Colombia has one of the most important coffee research centers; Cenicafé, is a key actor devoted to all aspects of agronomy and much more interested in how to improve possibilities of growing coffee, selecting new varieties and fighting climate change and pests and diseases”, recognized Astrid Nehlig, president of the Association for Science and Information on Coffee (ASIC), the entity that co-organized ASIC 2014 along with the FNC.